There are an estimated 120 million ash trees in Britain in woodlands and hedgerows. Evidence from Denmark where the disease is more prevalent indicates that approximately 1% of trees show good resistance (less than 10% crown dieback) which is under moderately strong genetic control. Similar levels of tolerance would equate to 1.2 million potentially resistant trees in Britain. While natural selection in some woodlands may provide resistant regeneration, the identification of resistant trees is needed as the basis for a genetically diverse and resilient population for future productive woodland plantings, as envisaged in the Independent Panel on Forestry’s report and Defra’s Chalara Management Plan. The Living Ash Project aims to secure ash trees for the future that show resistance to Chalara ash dieback. It is important that at least a good proportion of trees that make it through a screening programme will be suitable for timber production to ensure a continued supply of this valuable product for the future. The project partners have been working on breeding ash for improved timber characteristics (form and vigour) for over twenty years and in this time have assembled a substantial collection of genotypes. Three hundred and eighty "superior" trees have been selected in the wild across Britain, and 114 selected in Ireland, and replicated either in progeny trials (from seed) or in clonal seed orchards (as grafted cuttings). In addition, we manage 18 provenance trials containing over 40,000 trees of material from across ash's native range. 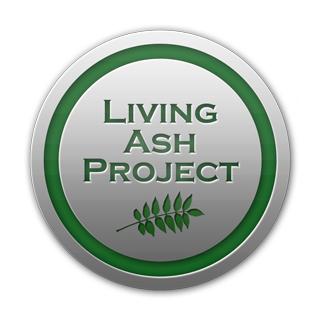 Further information can be found on the Living Ash Project website.